**Important Notice** CBS Radio stations are no longer available to stream in this application. Additionally, we have removed the alarm functionality. 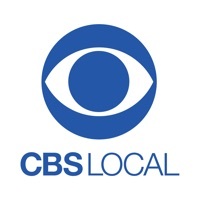 CBS Local is constantly updated with the latest news, sports, weather and video. 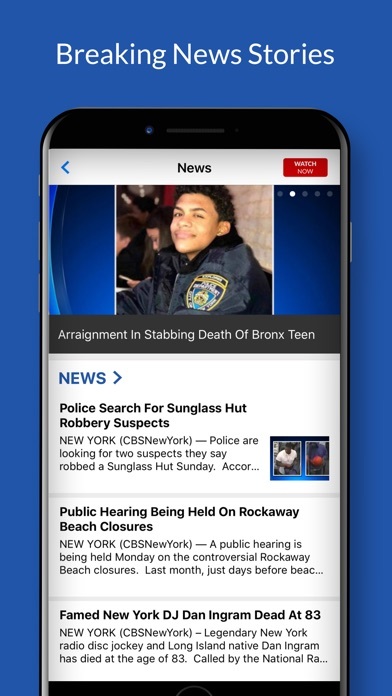 Select your city and personalize your front page for the ultimate coverage of stories that matter to you. Features: • Choose from 14 Major U.S. 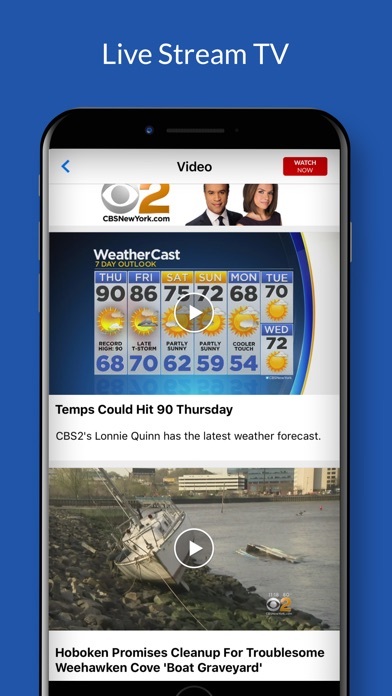 Locations • Live-Stream Video Broadcasts • Get notified of breaking news that affects you This is the official mobile app for the network of CBS Local brands including: CBS 13 Baltimore, CBS 4 Boston, CBS 2 Chicago, CBS 4 Denver, CBS 62 Detroit, CBS 11 DFW, CBS 2 Los Angeles, CBS 4 Miami, CBS 4 Minnesota, CBS 2 New York, CBS 3 Philly, CBS 2 Pittsburgh, CBS 13 Sacramento, CBS 5 San Francisco, WJZ, WBZ, WBBM, KTVT, KCNC, WWJ, KCBS, WFOR, WCCO, WCBS, KYW, KDKA, KOVR, KPIX and more! 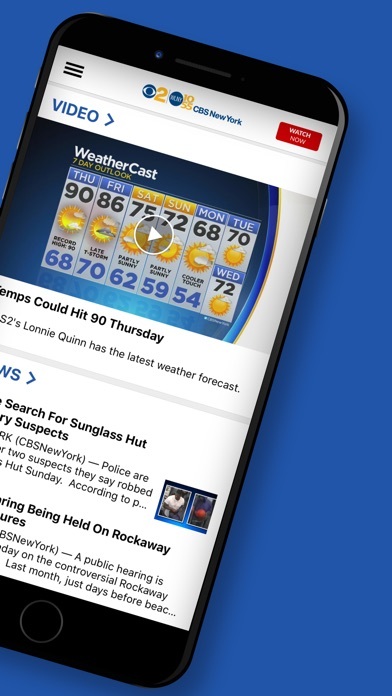 Please note: This app features Nielsen’s audience measurement software which will allow you to contribute to market research, such as Nielsen’s TV Ratings. To learn more about our digital audience measurement products and your choices in regard to them, please visit http://www.nielsen.com/digitalprivacy for more information. Crashes on load every time. Without warning, continuously has pop up ads with sound. I can watch the individual articles most of the time, but the local news is a no go. What gives??? 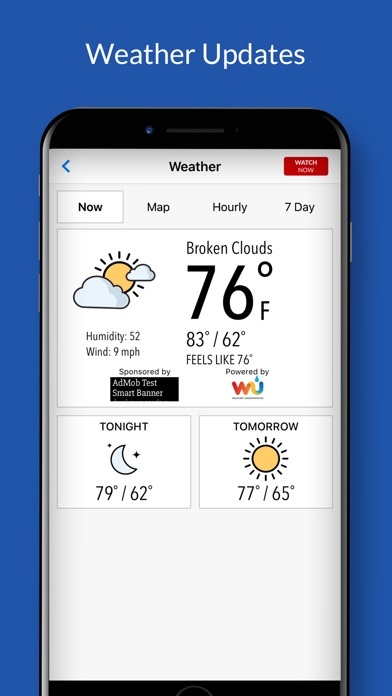 I have weather alerts turned off and am still woken up early in the morning by a weather alert from the app. Why have the option to turn it off if you arent going to honor my setting selections? Program the weather alert as weather, its not breaking news, why is it still coming through every morning? KYW 1060 was the best feature on this app. Why’d you get rid of it? Dumb. 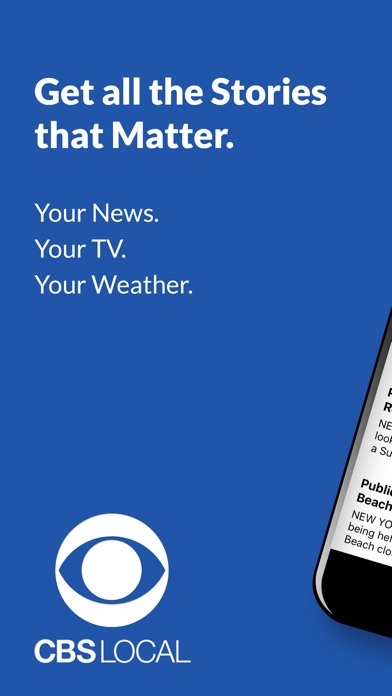 Informative app that reports stories meaningful to San Francisco residents as well as the greater Bay Area. There should be a Twitter link to serve app users especially for the video articles. So i can’t watch live news on here ?